Despite all the fanfare of the 2.0-liter, direct-injection, 235-hp, 258-lb-ft torque, 17-psi of boost, 0-60 in seven seconds dead (in AWD form: 7.2 with the FWD drivetrain), twin-scroll-turbocharged engine in the NX200t…we’d go for the hybrid NX300h. Here’s why: it’s far smoother. 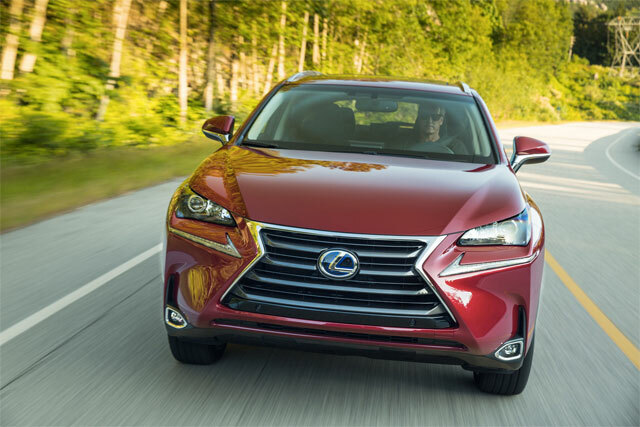 The NX is a supremely quiet car overall, but the 194-hp Hybrid enhances this quality — Lexus rates it at far slower than the turbo engine, hitting 60 mph in nine seconds, but the Hybrid’s great pickup feels much, much faster than this. Much more high strung than the turbo, in fact: proof that numbers aren’t always the answer. krew: Yeah, there's a mirror on the back of the pull tab in the center console.